Order Plantation Shutter Replacement Tilt Rod Kit. Please note that since this item is custom made to order, it is non-returnable. This is another easy do it yourself job that does not require any specialized tools or skills. 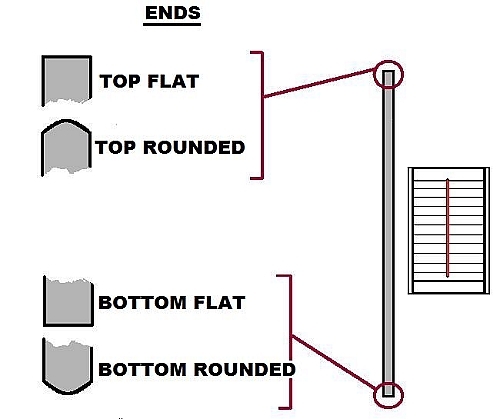 We will custom fabricate a replacement Tilt Rod for you and have your shutters back in good order. One solid wood custom made replacement Tilt Rod. 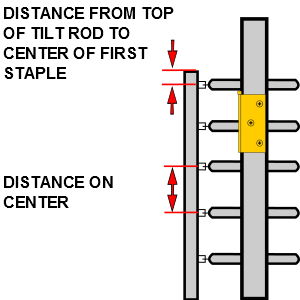 Tilt Rod will contain holes for staples in proper location making attachment easy. All shutter staples necessary to attach the Tilt Rod to the Louvers. 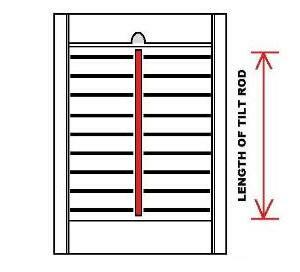 If your shutters are painted, we offer the Tilt Rod primed at no extra cost. Easy to follow instructions containing photos. To order online simply answer the 8 questions above and Add to Cart ! If you have any questions or would rather order by phone just give us a call and we would be happy to assist you. We custom make all of our replacement tilt rods to your specifications. 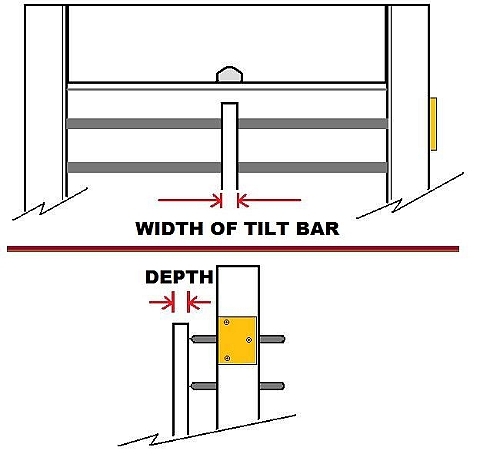 If your damaged tilt rod does not match one or more of the selections listed on this order page, simply call us. Due to size restrictions, this item does not ship internationally. You and your company under promised and over delivered. We are extremely pleased the items we purchased and would recommend your company to anyone looking for to make repairs to their shutters. Everything I had expected and the rod fits perfectly! Thank you!!! We ordered three of these and they fit perfectly. Quality product. We couldn't be happier. Our shutters look fantastic. Thank you for being in business. We ordered this shudder rod replacement and it was perfect. All the dimensions I had sent in were spot on with what was made and sent to us. It came with the staples as well. I would recommend this for others needing a rod replacement. It saved me a lot of money from having to get a whole new shutter for the window it was in.